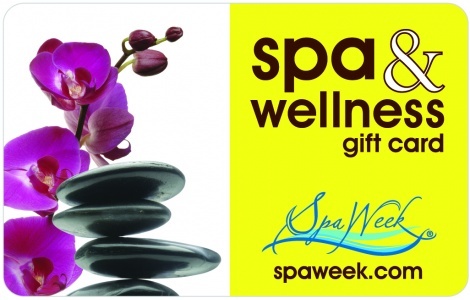 Usable up to balance to buy goods or services only at the participating spas & wellness facilities listed at spaweek.com. Valid for one-time use only. Once used, any remaining balance can be issued to you as a credit for use at the location where this card is redeemed. Not redeemable for cash in New Jersey, or for cash in any other state unless the state requires cash redemption. Not a credit or debit card. Safeguard the card. It will not be replaced or replenished if lost, stolen or used without authorization. Wellness Media Group, LLC (“WMG”) is the card issuer and sole obligor to card owner. WMG may delegate its issuer obligations to an assignee, without recourse. If delegated, the assignee, and not WMG, will be sole obligor to card owner. Purchase, use or acceptance of card constitutes acceptance of these terms. For additional Terms & Conditions, Participating Locations and other inquiries visit: www.spaweek.com.